To grow fat prosperous is inevitable but today I am going to introduce something to tuck in those flabbies. 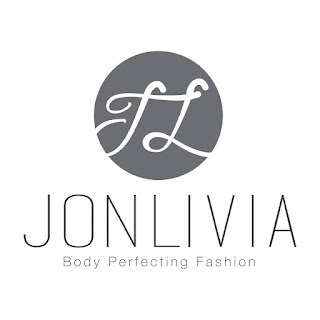 Jonlivia hotpants is co-founded by Jon and Olivia. Made in Taiwan, this hotpants' materials consist of 85% genuine Neoprene and 15% Nylon. 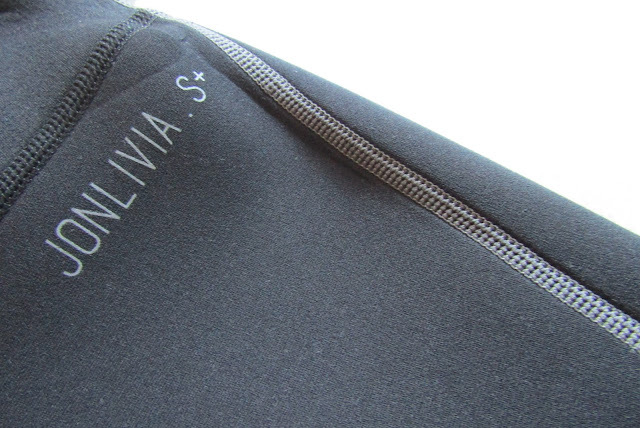 Do you know this body sculpting wear have 4 layers with double layer straps at hip for a more secure hold? It even comes with a Double waist level to tuck in unsightly tummy. 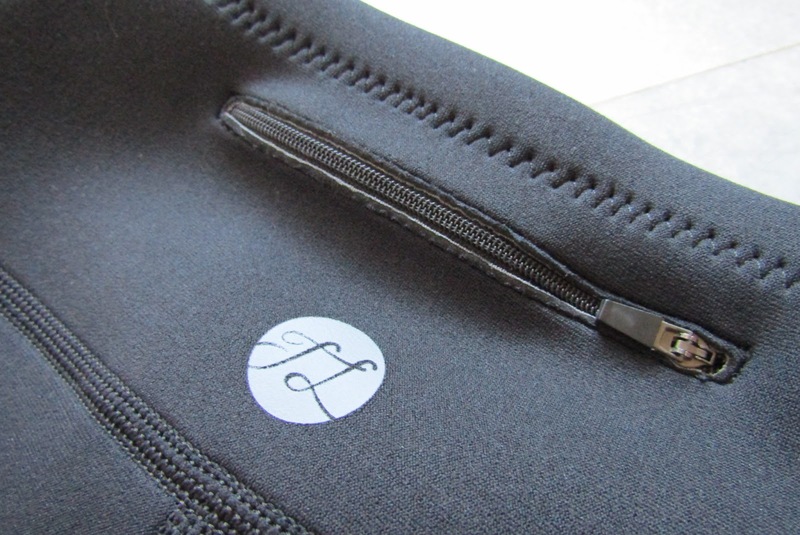 Great for storing locker key or important cards while keeping your hands free. First impression was the material used in Jonlivia hotpants. 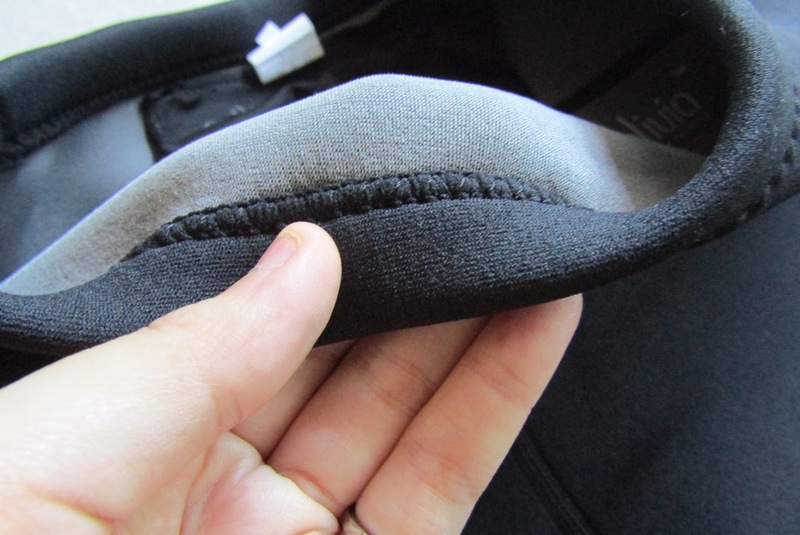 My main concern when it comes to purchasing sportswear is always the risk of tearing at seams. Hence, I am always on the hunt for stretchable pants with additional cloth at the crotch area. 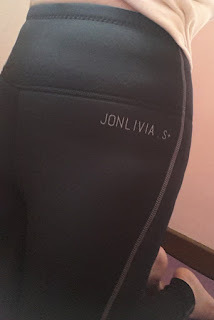 Jonlivia's hotpants fulfills my requirements and with the double stitching at the fabric connection, I am rest assured it will not fail me during my yoga classes. Did I mention this hotpants is very stretchable and comfortable too? 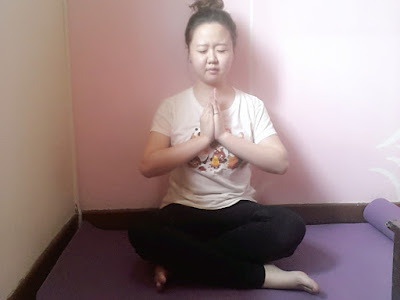 The idea of hiding flabby tummy is really attractive, especially when it comes to Chinese New Year (how can we ever resist all those scrumptious delicacies). I agree the double waist level does help to support the waist area, it however does not totally hides our spare tires. 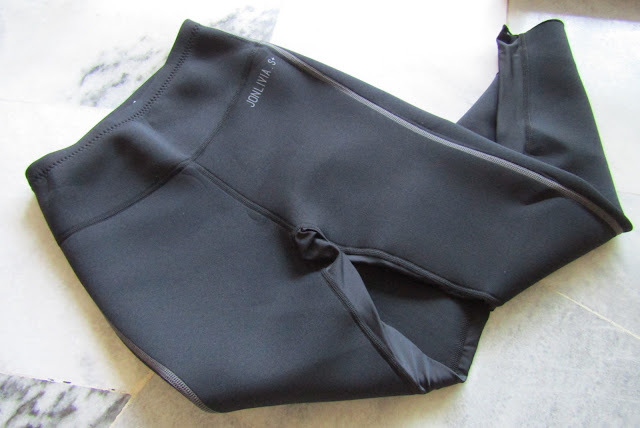 At times of stretching and bending over, the double waist fabric will fold downwards which defeats the purpose of upper tummy support but I believe those with fitter abdomen would not face this problem. My obsession with pockets have been answered! 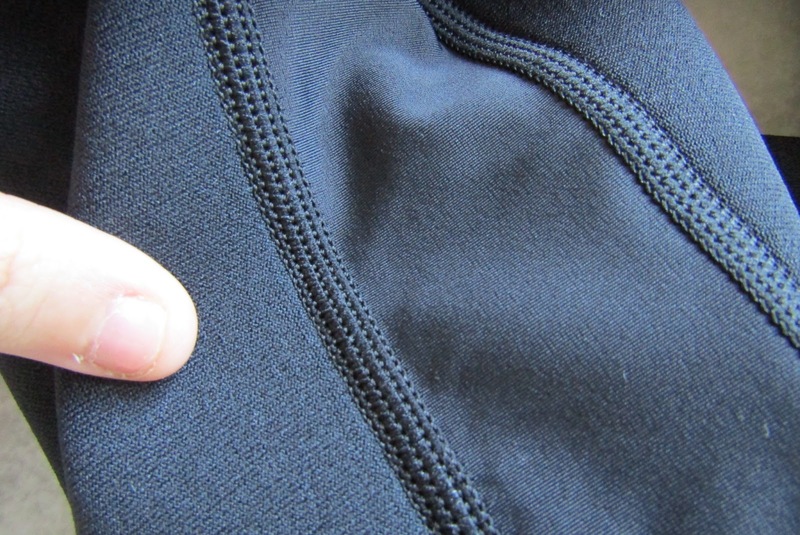 It is not easy to find a sportswear that comes with a pocket, whats more with a zip to prevent things from falling out. As the purpose of this hotpants is to facilitate sweating during calorie-burning, downside would be the pocket is not waterproof and there is a high possibility things in the pocket will get wet. So, here is the most important question. I noticed that wearing this hotpants does promote sweating even if you are not doing any heavy activities. It is recommended to wear this when you workout as more calories will burn with all the heat and compression. 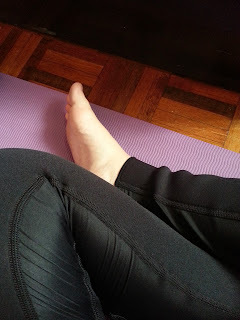 After my usual yoga session, there is a sheen of sweat on my skin upon it's removal. What I like about this outfit is despite all the sweat and moisture in the inside, you actually can't feel a thing while wearing it. Surprisingly, the breathable air fabric keeps the things cooling especially at the inner thigh and crotch area due to the different material used. There is no uncomfortable wetness between your skin and the fabric and you can't feel it from the outside neither. Thumbs up. As much as I love this hotpants, my sensitive skin beg to differ. 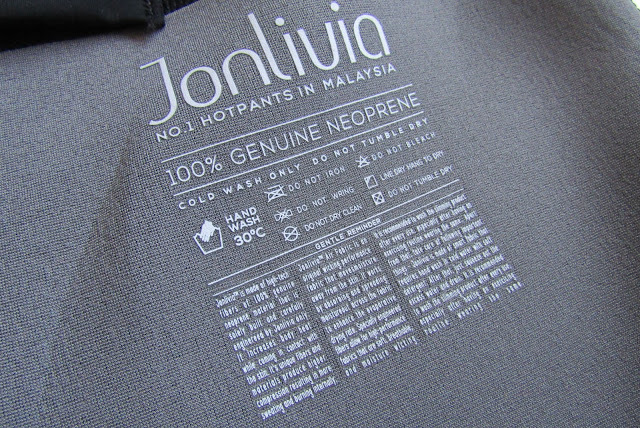 It is recommended to wear Jonlivia hotpants for 4-5 hours (up to 9 hours for those who can tolerate). I had no issue during the first 2 times of yoga (about 2 hours each session). Out of ignorance, I tried wearing it for 8 hours straight (as I got busy as soon I left home) and instantly regretted it. My eczema just flared and had itch for the next couple of days on my lower limbs. Moral of the story is try wearing it for 1-2 hours first while letting your body to adapt before increasing the duration. This instruction was stated clearly on the information sheet which is included during purchase but I was ignorant. All the hotpants in the market would have the same effect, so read carefully before trying anything. 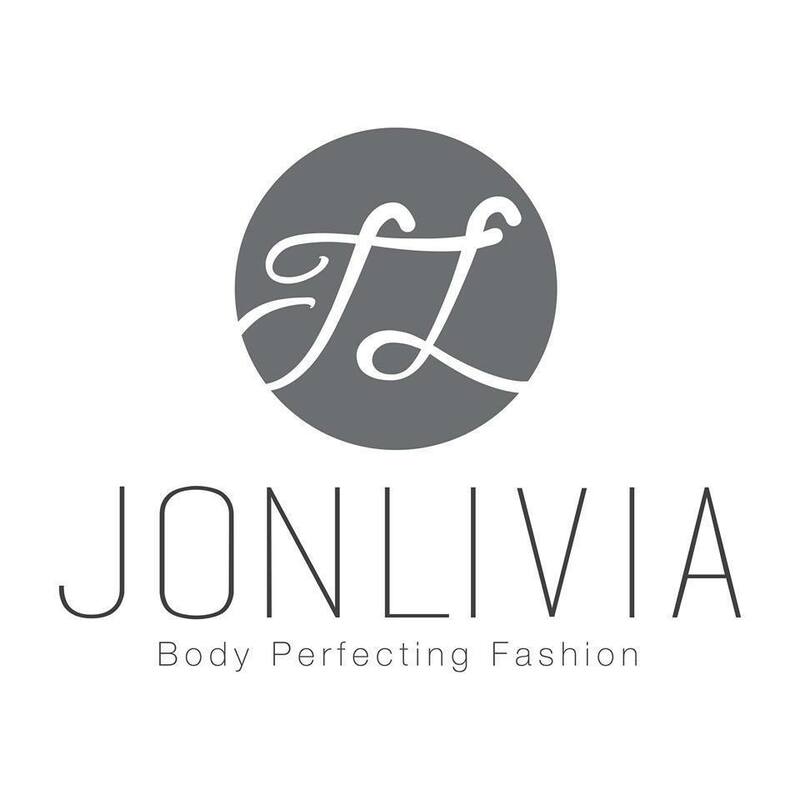 Despite the undesirable consequences, I would still wear Jonlivia hotpants after my skin got better, only in a more smarter manner. get a FREE pair of armshapers.